From the popular TV show DC Superhero Girls, comes these highly collectable pins from Fansets featuring all your favorite characters! A student of Super Hero High by day and a hero by night, Bumblebee is popular with her fellow students and versatile in her abilities. 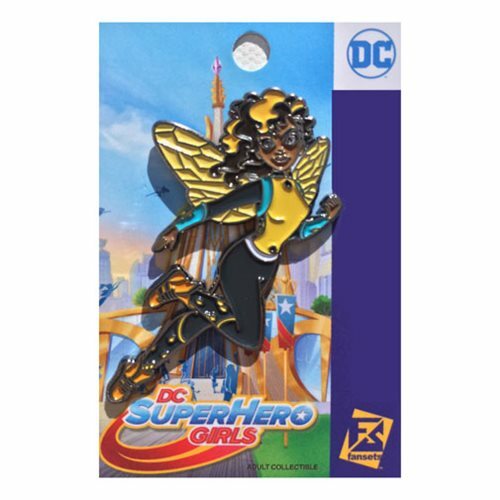 This DC Superhero Girls Bumblebee Pin measures about 2-inches tall.